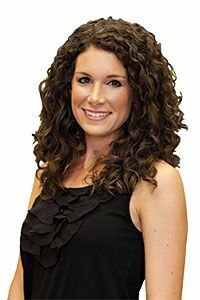 Dr. Stephanie Baya is an associate dentist at The Center for Cosmetic and Family dentistry, practicing at both our Destin and Panama City Beach dental offices. A true local and a second-generation dentist, Dr. Baya graduated from Niceville High School and went on to get a BS in Microbiology and Cell Science at the University of Florida. She then received her Doctor of Dental Medicine degree from the University of Florida’s College of Dentistry. Dr. Baya is an active member in a number of accredited and respected dental associations. These include the Florida Academy of Cosmetic Dentistry, the American Dental Association, Florida Dental Association, and Northwest District Dental Association. She is also currently taking continuing education courses at the renowned Dawson Academy for Advanced Dental Studies and enjoys staying up to date with the latest in techniques and technology in the dental profession. Dr. Baya also enjoys being a part of the community, including being an active member in her church and supporting several local and national charity organizations. Dr. Baya lives in Santa Rosa Beach with her husband, Joe, their dog, Whiskey, and cat, Walton. In her free time, Dr. Baya enjoys being in the woods or on the water in the beautiful Florida weather and loves outdoor activities such as hunting, fishing, camping, hiking, and archery. In rainy weather, Dr. Baya loves reading, cooking, crafting, and (attempting) to learn the fiddle. ​​​​​​​Dr. Baya and her dental team strive to use the most advanced dentistry techniques and materials currently available, all in a comfortable relaxing environment with warm and friendly service.